We were visited by Kath from UNICEF today to assess The Bridge for the Silver Rights Respecting Schools Award. 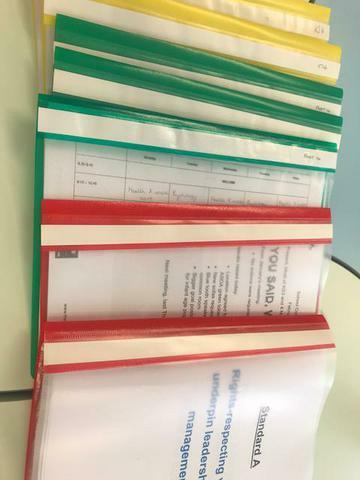 This assessment involves providing evidence across 4 RRS standards and meetings with parents, pupils, teachers, support staff and senior staff to understand our Rights journey. We are awaiting confirmation that we have met and exceeded the required standard and will keep you posted. We believe in listening to, respecting and acting upon the views of our pupils, in upholding their rights and supporting them should their rights not be met elsewhere in their lives. Our pupils particularly impressed Kath, they described the Bridge as "safe", "supportive", "positive" and said that they were "treated with respect." Our thanks for providing the leadership on this and the hard work that underpins such a prestigious award go to Virginia Richards (Leader of Ty Llidiard), Mary Morriss (Teacher) and Emily Medway (Support Officer). Well done!